Thought I would throw up a sample of My Training leading up to the New Zealand Powerlifting Nationals in August 3rd,4th,5th in Whangarei. Have watched this site with a bit of interest, a few people have been touching on WSB Training. My training is full WSB but a Hybrid that we have developed over the years. Full WSB unless you are on something special is to hard to recover from. I am a tested athlete been on the WADA World Anti Doping Authority, NZ Drug Free Sports programme for 4 years. I Train 7 Days per week sometimes 14 sessions per week, which takes into consideration Stretching and Rehab, XWOs. 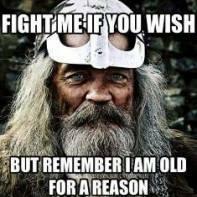 Some of us old Timers need it. Have 2 pretty serious injuries that are restricting my training. Will do something after the Nats but if I make the Commonwealth Team it will have to wait. It takes me about 20 minutes to be able to get my hands in close enough to Squat depending on the stretching, when I hit 200s sometimes it is hard to keep the bar on my back. My right hip is slightly forward which puts pressure on the rear left hip when I Deadlift. This is a injury that I picked up before the Oceania's Last year, doing 1 Arm deads 5 weeks out :oops: Struggled at 160kg about six weeks ago. I aggrevated it, in the CD Champs in April. I am doing Rehab work at the moment with one of guys in The House about 1 or 2 sessions per week. Will cut and paste some not all of my workouts over the last 3 or 4 weeks and those leading up to the Nats. This went a lot better than I expected for just a couple of weeks of Stretching. The 180kg was solid, 190 was ok the 200 had a couple of issues. Quite slow off the floor and a bit of a grind to the knee. Once there no problem, so for the racks I decided to follow Louie's advice and pull 2" from the floor. but 2 3/4" was the closest I could get. These really hit where I showed I was slow at. 160 was ok 170 was a effort so I will try and get these up to my 1RM or close too. "Keeping The Young Bulls Honest." Just a bit of Tidy up work missed out on yesterday. Wide GHRs were not good Russians are getting a bit easier not much tho. The 1 x 100 knees up, well the legs started shooting towards the floor so I did not do any more. Speed Sets were a lot better today even when the grip came in. CG x 2 Purples that was hard, lost the setup after the first at 90kg. 4 Board well the tris were fried by then went a bit over pt, FatBoy, Beast could not be bothered taking the plates off for a old man so 1 x 140 nobody home went down to 130, they had left the building my Tris of course. Awesome to see a journal from ya! Do you do any speed work? Oh right, do you get much carry over from it? First time with Pistons for a while faded pretty quickly. Pretty exhausting session, usually start suit at 160 this time weight felt good so did 160 then suit bottom at 180. I think the hip work is having an effect on my lifting, in a good way. Weights felt good the 220 upwards was more solid than 2 weeks ago. That time the 240 was pretty ugly. 240 x 2 was good the 255 ** well it was like I have not squatted before. The weight was hard to move around found difficult to get my feet into the right position. It was a struggle to get it up but I should be having this sort of weight on me if my squats are to go up. Just some light stuff after yesterday's effort, a bit more on the recovery side. Strength is coming up reasonable well on the Band Work still is mission tho. Happy with the Single, tho blew the set up on 115. Shirt the second time in this since last year, then had major issues with it pulling my shoulder in, and getting weight too go anywhere. The extra work I have done in Nicks shirt lately has made it easier to get into this one. And get something to touch, just got to keep the setup and technique right through the lift. Big ups to Andrew Randall for opening his gym for me on Sunday Morning. Got a workout in that was the main thing did not want to miss this one out or do it on Monday after bench. Speed work is far more important then our Max Stuff. If our speed work is too heavy and not fast enough then our max work is down. We complete on speed work 3 reps in 2.2 secs to 2.8secs. Over 3 seconds for three reps and the weight is to heavy. The % is between 40% to 60%. Depending on recovery from Fridays Max Effort we might drop the weight to get the speed up. This is the first week of My 5 week lead up to the Nats. Rests times are changing the weights or Training partners doing their sets. "If you Can't Run With The Big Dogs Stay On The Porch"
Do you do any specific tests for speed work, or just play everything by feel? I just started my DE stuff and devoting two days takes a lot of faith in it. I just hope I haven't missed anything and I'm doing it right. Speed work is more important than a lot of people think. My Training partner his bench went from competition 182.5 to 220kg in 5 months. This was with speed work, he was strong but his bench was going up about 10 to 15kg per year prior to speed work. Have some one rest his hand on the bar before you bench with a stop clock, he or you say go do 3 reps see wat time it is start at about 40% of your !RM. These have to be like Ballistic it will take a while to get use to. The Biggest Benchers in the country do Speed Work thats why they are the Best. Give it Time Bench is always hard too smaller muscle groups for big gains. what do u eat old bull? anything u want? Cheers for that, just thought I would throw up something as a few on this site try WSB but do not fully understand it. WSB is the new wave of Training for PLs we are the new school. A lot are still entrenched in Linear Training. My weight dictates that I have to eat clean sort of, I am to close to my competition weight 100kg I hover around 97kg 99kg. But usually it is FTM "Feed The Machine" we stay away from carbs they make you want to chuck after heavy Squats and Deads. High protien around 300 to 400 grams per day. We normally just eat and train we are also looking at tidying up our nutrition side of things "CLEAN". Which will help us with recovery and better training. Cheers OB, that's just the reassurance I needed. Bloody heavy lifting too if I haven't already said it. FB was here so I did a XWO with him at the end of his Back workout. Morning workout after yesterdays up in Gisborne. Missed the Hypers and GHR so joined in with FB. Well a pretty good bench session tonite. Declines were up so were my 3 board. You sometimes wonder if things are going forward, but it will come with time not over night like we would expect.